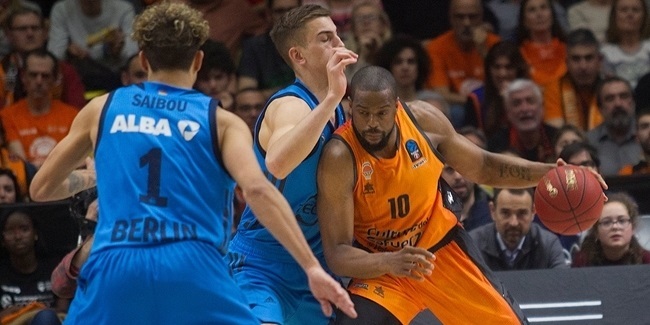 The 7DAYS EuroCup regular season has reached its midway point and only one team, Herbalife Gran Canaria Las Palmas, remains undefeated after five rounds. This week featured more impressive individual performances the best of which was for Cedevita Zagreb's Pierre Jackson, who earned weekly MVP honors thanks to his performance index rating of 37. Jackson hit a career record with his 38 points which included 6 of 8 threes. This is the highest scoring mark so far this season in the league. Jackson also added 1 rebound, 5 assists and 1 steal to a great performance that led his team to its second win in Group A. Jackson was closely followed this week by David Logan of Lietuvos Rytas Vilnius, who racked up a performance index rating of 35 in his team's win. Logan scored 27 points, pulled 6 boards, dished 9 assists, had 1 steal and drew 6 fouls for an impressive performance. 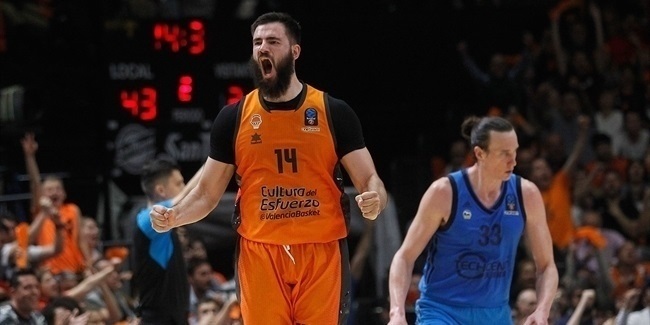 Completing the top individual performances of the week, MZT Skopje Aerodrom's Josh Scott had a 32 in his team's loss to undefeated Gran Canaria, and Cedevita's Miro Bilan followed with a 28. It comes as no surprise that, being also the season record so far, Jackson's impressive 38 points were also the highest scoring mark of the week. He was followed by Zenit St Petersburg's Ryan Toolson with 35 points, making this the second week in a row in which he scores 34 points or more. Several players managed to pull rebounds in double digits this week, all of them led by Drew Gordon of Lietuvos Rytas with 13 boards. After him, DeAndre Kane of Nizhny Nobgorod and Scott of MZT Skopje had 12 apiece. 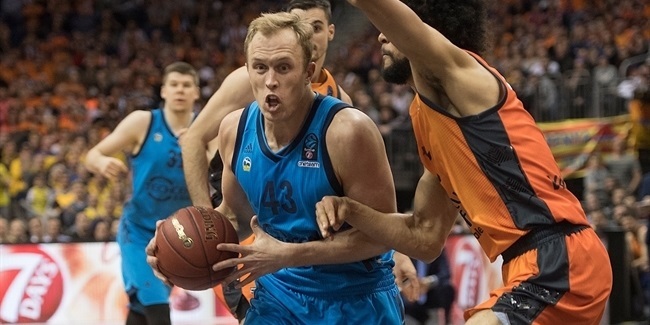 In the assists department, Stefan Markovic of Zenit had an overall career-high, including also the Turkish Airlines EuroLeague, with 14 decisive passes, which was also the best mark this season, outdoing the previous mark of 12 assists established also by Markovic. Switching to defensive numbers, Reggie Redding of FC Bayern Munich and Antoine Diot of Valencia Basket had 4 steals each to lead the rankings, while Adam Lapeta of Lietuvos Rytas joined Scott and Logan to top the rankings this week with 2 stops apiece.